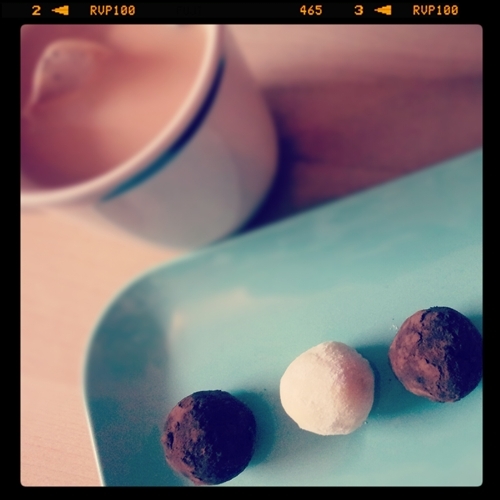 Truffles. What to do with left over ganache. After ganaching a cake, I sometime have left over ganache that I don’t want to throw away. 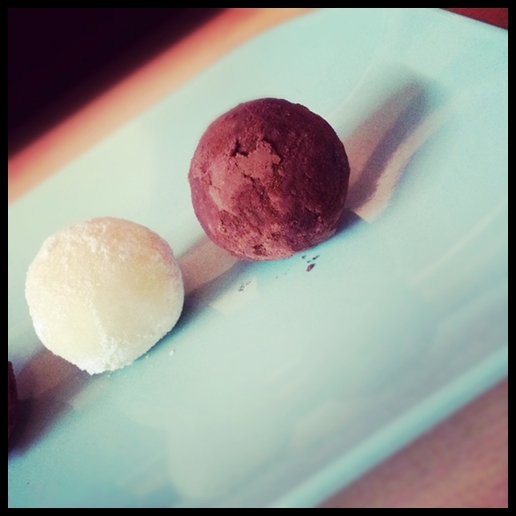 Its usually only a few tablespoons so I make little home made truffles with them. Ganache also freezes very well and can sit at room temperature for a few days, or so I heard from a Chocolatier. A firm ganache is exactly what truffles are, and if you use a good quality dark chocolate they’ll taste just as good (if not better) then what you can get from the shops. So when you have some firm 2:1 chocolate ganache left over, just scoop, roll in cocoa powder and eat. Wonderful idea! Hoping to try this this week. Please may I ask what type of cream here in the UK is used to make ganache. Is it double cream or whipping cream please? I want to try switching to ganache instead of buttercream as I would love to achieve sharp corners. Thanks a lot!